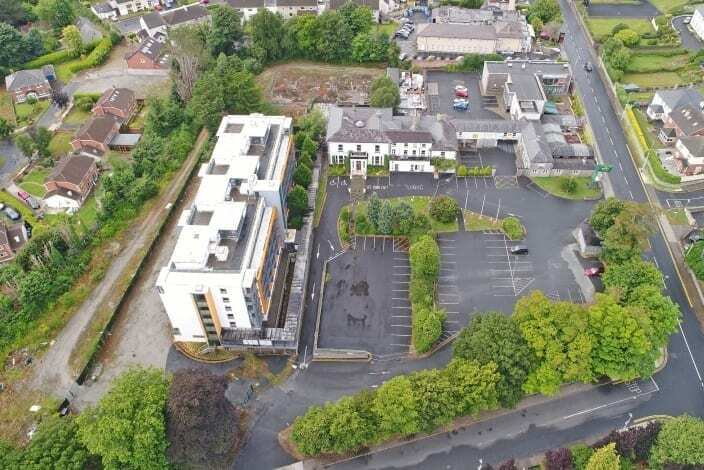 The block currently comprises 43 two-bedroom suites and 18 one-bedroom aparthotel suites adjoining the former Ardhu Ryan Hotel (Ardhu House) which is in need of a complete refurbishment, and the adjoining site. 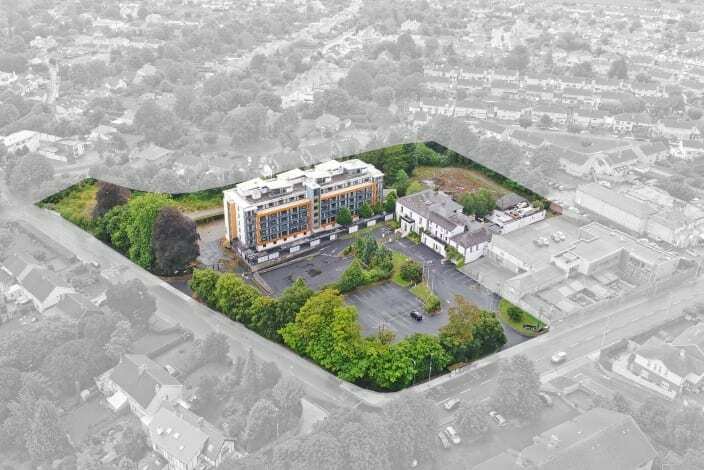 Planning has been granted for 55 apartment units in the main building with a further 4 apartments in the former Ardhu House building and 7 detached two storey dwelling houses. 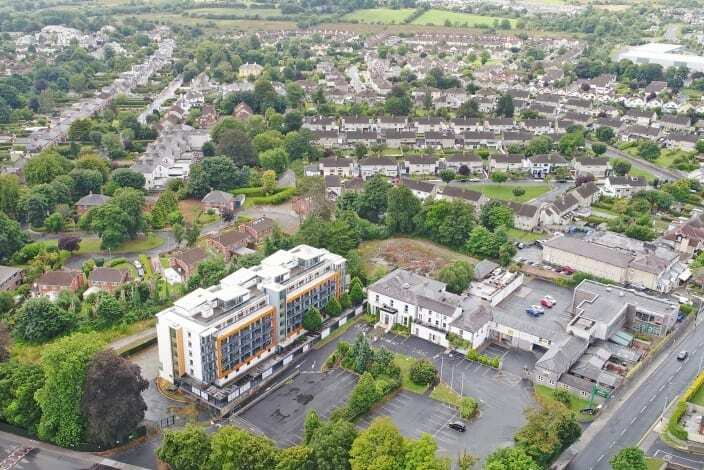 The subject property fronts the R857 one of Limerick’s main approach roads leading to the city centre from the main N18 Shannon/Ennis route. The property is c.2km from Limerick city centre. It has excellent profile to the main Ennis Road and Roses Avenue. 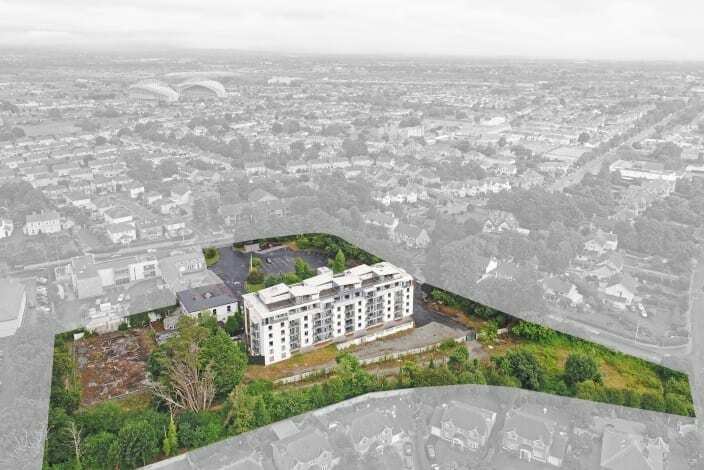 The southern aspect of the site overlooks the North Circular Road, Limerick’s foremost residential location. 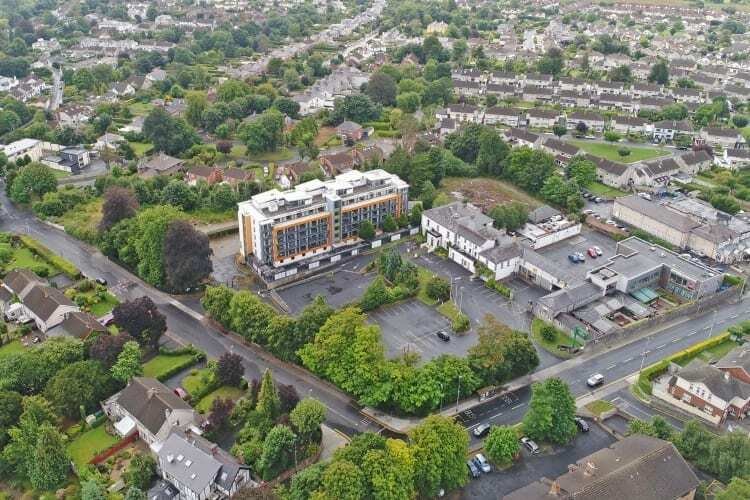 Adjacent to the site is the Ardhu Bar, The Woodfield House Hotel, Northside Neighbourhood Centre, the Gaelic Grounds Stadium, Limerick Lawn Tennis Club Thomond Park and Limerick Maternity Hospital. The property is surrounded primarily by residential housing. 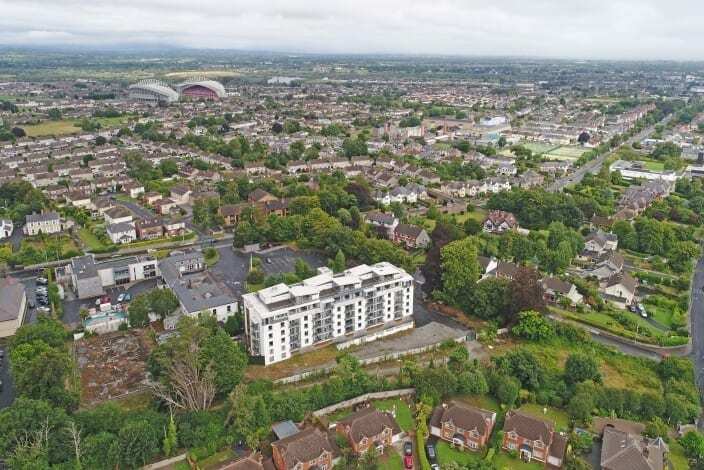 The locale is one of the most sought after residential locations in Limerick. LIT have recently secured planning permission for a new Northside Campus. The conversion of unused space at Coonagh Cross, c.1km from the Ardhu, to a fully functioning college which will serve 550 precision engineering students. At present the block comprises 43 two-bedroom suites and 18 one-bedroom aparthotel suites adjoining the former Ardhu Ryan Hotel (Ardhu House) which is now in need of a complete refurbishment and has been closed for a number of years. The total site comprises circa 1.7 hectares (4.2 acres). The vendors will provide a comprehensive information pack and interested parties will be invited to register for access to a data room.